Is this mod incompatible with any other mod? Because i cant seem to get this to work. 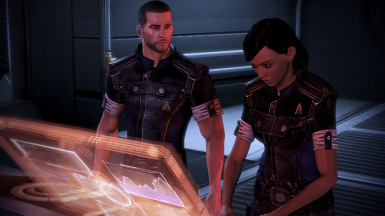 Shepard still has the ugly ME3 fatigues in the opening. I'm not using any other mod that modifies the casual outfit. Project Variety maybe? I like the look of this mod and have downloaded it but haven't used it yet. 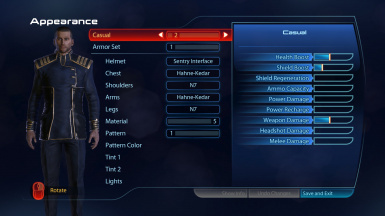 Though I'd like to see a version of this mod that matches the red uniform worn by the students of Grissom Academy. Do I need to download WarrantyVoider's DLC DLL Files to use this Mod? After using this mod for a while now I can't look at the default uniforms without wondering what the hell they were thinking when they designed them since this mod fits the game far better since they match the colours of the dress uniform. 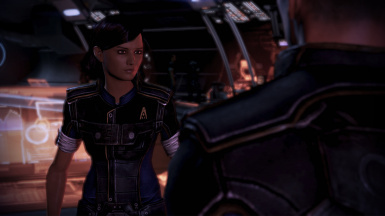 So I fell in love with this mod, but I've noticed recently despite multiple reinstalls that the mod seems to only half work, or more on males everything loads fine, but the fatigues on females are still default vanilla, most noticably traynor, and any other female NPC on the normandy. in the intro it doesn't load on some males as well, yet it loads on ashley(using v2 of battlepack expanded) just fine. Any idea what's wrong? 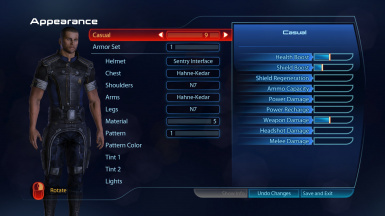 EDIT: it seems there's something in EGM that seems to conflict, as far as the female set of armors go. doing more testing. Pretty much perfect other than C-Sec & no compatibility with Ash' Legacy. Nicely done. It is compatible with Ash Legacy, it just needs a small addition which I THINK is an option in my Ashley Battlepack mod. Hope so, I'll have to look into it sometime. 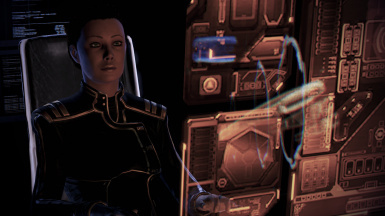 Is there a way to keep the Alliance fatigues but edit Shepard's casual outfit? Hi. First off, thanks for this mod. One question though. 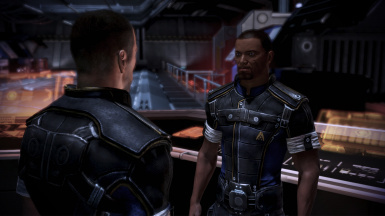 Is it possible for you to have a version of the mod that only replaces the Alliance Fatigues? 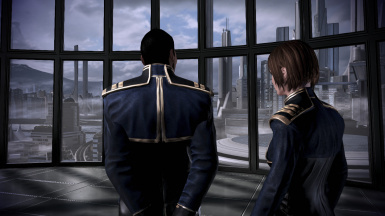 It kinda bothers me that I can still notice the chain that was on the original Officer Uniforms. Or maybe, do not remove the chain that was on the original? Just a suggestion. But other than that, great mod! Yeah I know, it's an issue. I'm aiming to remove that bulge as soon as I can. I could do a fatigues-only release but I'm not sure if it'll get done, will let you know. These uniforms definitely look a lot better than the boring black-white and blue uniforms they normally use. 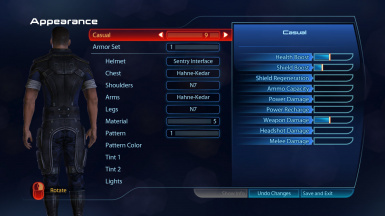 But one thing bothers me: the uniform retexture only applies to male characters. 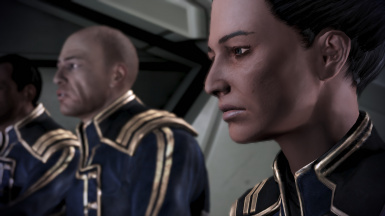 Female characters like Traynor and other still wear the vanilla uniform, and in the end it sort of gets quite annoying that they wear two different types of uniforms. 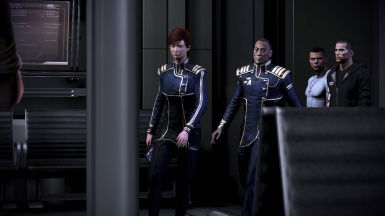 Additionally, C-sec officers like Captain Bailey also wear the Alliance uniform, which too seems a bit strange. That's strange, the uniform should be applying to both genders - it does in my copy. I've got the same problem. I checked my mods and found something: Part one of the "Bonus Power Pack" affected the file for the human-female presets. Alas, one of the pitfalls with mods - they override each other depending on what you have installed. I need to update this mod anyway, which should hopefully fix the issue. Or it might cause new ones, hopefully not though! I like your mod. But I also like the "Spectre West" mod. How could I use this together! I'm not sure what other mod you're talking about, could you provide a link? Is it possible to just use the fatigues without the dress uniforms? Technically yes it is, I'll see what I can do. Any progress on this front yet? Also, would it be possible to make a HR 4096 version of this mod? I've just gotten home from a long holiday, so I'll have to check and see what I can do, but nothing yet. As for a high-res version, 99% sure that's a no. I don't use any HR mods and I'm not proficient enough with photoshop etc to create higher res textures unfortunately.